Experience living as a digital nomad in Granada, Spain. If you would like to experience living in a part of Spain that is quite inexpensive, then I would suggest heading to the university city of Granada. It is located in Spain’s south-east. I’ll admit, I was surprised with the cost of living when I went there. 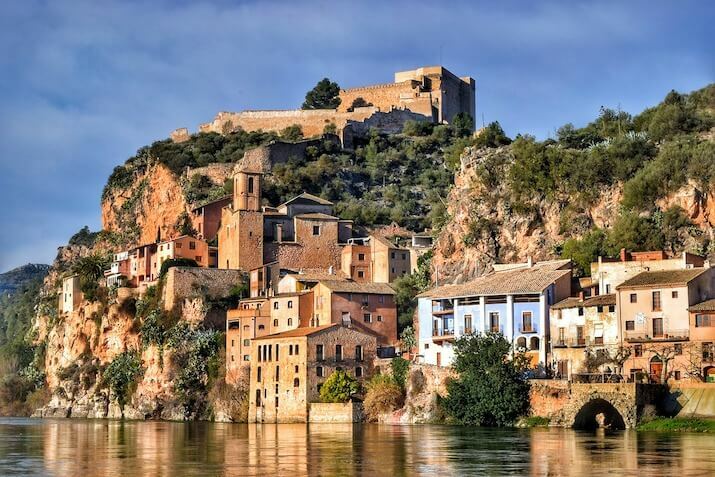 If you want to live quite inexpensively and also experience some of the Spanish culture, then this is one city you can consider basing yourself in. Cost of living in Granada. The city is prided on Alhambra. If you go to the centre of town, you will see it and you can walk up the hill amongst the nature to really get a closer glimpse of what it has to offer. If you do want to go inside, you will need to purchase tickets in advance. The landmark gets very busy with tourists. Depending on who you purchase the ticket from, it will cost you anywhere from 18-25 Euros for a pass. It offers the most scenic spot for looking at Alhambra. With the mountains in the background, it is an incredible wonder to visit. This is located en route to Alhambra, so you will see traditional architecture and roadways that lead into the heart of Granada. Flamenco is a big part of the culture in Southern Spain. Tickets will cost you around 20 Euros to see a performance. If you want the the authentic Spanish experience, treat yourself to a flamenco show. If you are in the mood for some dancing and partying, then Booga club is the place to go and enjoy yourself. This is just opposite Alhambra and is honestly one of the most beautiful places in the city. Go for a stroll around there and marvel at the unique architecture and street performers in the area. It was in a secure building. I had a secure lock on my door. It had a hot shower. I stayed there for 7 days, but I could have easily stayed there for a month if I wanted to, since the accommodation would have cost me around $500 for the month. There are several supermarkets in town. I would go to AlCampo, which is a large supermarket that has pretty much everything. You can buy things in bulk, so you get a discount on your items. The food that is common in town is tapas and bocadillos (sandwiches). You can easily make your own sandwiches by purchasing bread (or baguettes) from the supermarket (supermercado) for 40-80 cents. Then I would purchase a packet of yogurt for 2 Euros, Camembert cheese, turkey salami for 2 euros for another 2 Euros and a bottle of water for 30 cents. The sandwiches would keep me going for about two days or so. I would also eat out. The culture of the city is that tapas are provided for free when you purchase a drink. So you can easily eat out for a few Euros and have a decent meal with a drink. To give you an idea, I went out for tapas for lunch and I got some nachos, a mini burger and a small quesadilla. I bought 1 drink that came with 1 tapas. I paid 1.50 Euros for the other two tapas. The bill came to 5 Euros and 20 cents. I know that if I ate out in Australia, I would never have received 3 dishes for less than $10. And I had an alcoholic drink. And I felt full. Also, I’d often go to the cafe and order a coffee with milk (cafe con leche), which would usually cost me about 1.50 Euros. For relaxing in a cafe and using the internet to browse and do my errands, I felt like it was worthwhile. If you decide to travel within the city, it is actually easy to get around by foot. I was staying outside of the main area, but it was a 20-minute walk from where I was staying. There are trams and buses that you can catch, but to be honest, unless you decide to travel outside of the city, you will be ok commuting by foot. To get to Granada, I took the bus. I managed to catch a bus from Malaga to Granada for approximately 12 Euros. I did book the ticket at the station, however you can also book your ticket through the ALSA website. You can also get to Granada by train. I chose to leave Granada by train to Ronda, which is a city in the West of Spain. The ticket cost me just under 21 Euros. You can use the RENFE website to purchase tickets in advance. I think it is achievable to stay in Granada for less than $50AUD a day. However, I would be prepared to spend more on accommodation and have a nicer place to sleep. That being said, I was able to practice my Spanish alot with my host and I did improve my spoken Spanish whilst I stayed with her and her roommates, since they didn’t speak English. Additionally, I think it is even more achievable to live comfortably in Granada if you travel as a pair. You can either rent a room, which is most likely to halve your cost. Or you can opt to rent an entire place, which is likely to cost you both the same (or slightly more) than if you were travelling solo. Below, I have also shared a couple of Instagram videos that highlight my stay in Granada. I hope that you enjoyed this article. 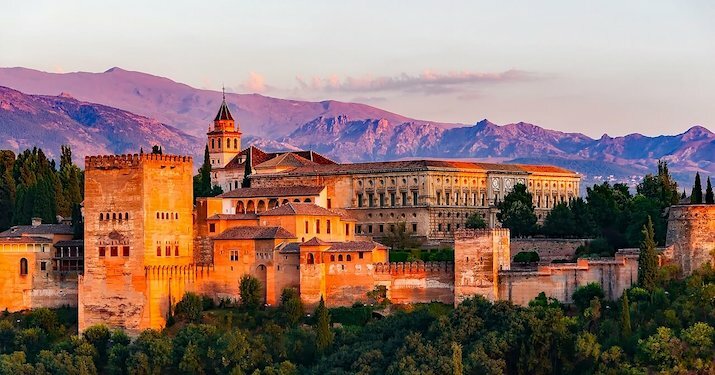 If you have travelled to Granada before, please share your experience in the comments below. If you want to travel around the world, build it into your lifestyle. I’m fortunate that I’ve been able to crack the code when it comes to travelling full time. I’ve always wanted to travel and at the time of writing this, I am in Ronda in Spain enjoying a Spanish Baguette and Spanish coffee. At the same time, I am talking to a friend online who is asking me how he can live this lifestyle. But he keeps on asking me one question. What will I do for money? This is a very valid question. To be honest, this is why most people don’t go ahead with travelling. There are several different strategies that you can use to travel around the world full time. Work in your local country and save. Then travel until the money runs out. This is an easier solution and you can actually work in a country (preferably your home country) and earn an income that will allow you to travel without working. The great thing with this approach is that you will be able to travel without the need to work. You will only need to budget how much you need to spend per day and ensure that the money doesn’t run out before the end of your trip. You can work legally in your own country and then travel on a tourist visa once you are in other countries. If you go to a place where the cost of living is much cheaper, you may only need to save $12,000USD to live in a country for 6 months. Earn an income in the country you are going to with a working holiday visa. You can obtain a visa that will allow you to earn an income in the local currency and that will allow you to sustain your travels. You will need to check with the department of immigration for the country that you want to visit. In many cases, you will either need to apply for their working-holiday program or apply to be sponsored to work for a local company. This gives you the most flexible travel option. One thing you will need to keep in mind is that you are not doing any online work that takes away income from the local economy. You can do things like run your own business from your official country of residence. Or you can freelance as a consultant or doing work for businesses based around the world. There are actually several ways you can make an income that will allow you to travel around the world. You can see opportunities on this digital nomad job post. I even detailed how I was able to earn an income in one of my past travel income reports. If you are interested in earning an income through writing, you can actually buy my ebook, which shows you the exact steps for earning your first $100 through writing. This will allow you to start earning an income whilst travelling. 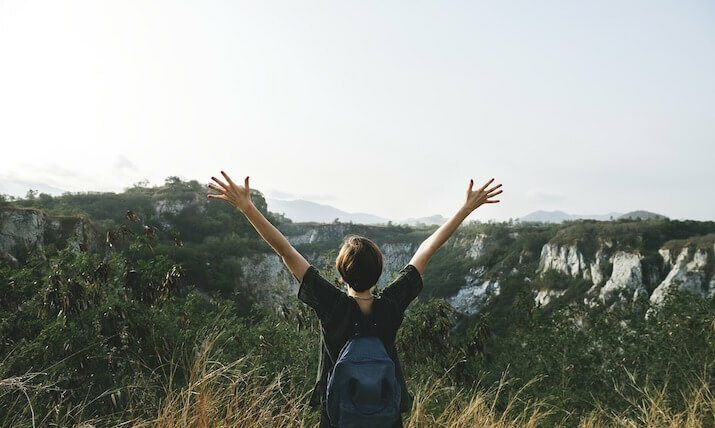 If you are in the position of earning a passive income, this is even more ideal as you can focus on enjoying the travel experience without the need to work. You can do this through affiliate programs, advertising income and even automated sales processes. Don’t give into the excuses. See how you can make your travel lifestyle come true today! Travel as a digital nomad in Spain. This is something that is starting to excite me. I am going to have the opportunity to travel in Spain as a digital nomad. And if things go to plan, I will be able to travel other areas in Europe as well. I’ve previously written a post about travelling as a digital nomad in Paris, which wasn’t as expensive as I originally thought. So I wanted to see if the same thing could be achieved in Spain. And from the research and planning that I’ve conducted so far, it looks like it will be a similar case. Living in Spain isn’t going to be as cheap as travelling in Thailand, Cambodia or Indonesia. But there are ways to maximise the travel experience and to enjoy the immersion in the local culture. Here’s how I plan to do it. Buy a one-way ticket to Spain. Take out Euros via the ATM. Plan to travel via local transport. Travel around Spain by bus. Travel around Spain by train. Rent a car or a scooter if need be. Local activities to try whilst I’m there. I’m flying to Malaga for a friend’s party, but if I had more time I would fly into Madrid. I’m flying from Australia and if you book in advance, you can get one-way flights for just under $900. If you book this in advance, you may save a few hundred dollars more. This will account for the bulk of your cost. The first mistake that I made was taking out Euros from the currency exchange. Opt for the cash rate from your bank or even opt for specific travel cards that will allow you to take out foreign currency without excessive fees. Alternatively, you can use your credit card whilst abroad, but check the terms for any additional fees that may be incurred from any transactions. I was able to find the bus terminal that has intercity buses. I was able to travel from Malaga to Granada for just under 12 Euros. The bus is modern and quite comfortable. You can book tickets at the bus terminal or on the ALSA website. Note: There are the unlimited bus ticket options available, which do provide good value for money if you plan to travel to a new city everyday. However, if you are like me and you want to travel and enjoy a stay in one place for some time before moving to the next place, then you may want to consider purchasing bus tickets as and when you need them. There are several train connections that can get you from one part of the country to the other in a couple of hours. They are cheaper to take than flying, but it is more expensive than taking a plane. There are the fast trains that can get you to Malaga from Madrid in less than 3h. But it will set you back at least $100 in the travel fare. Alternatively, you can opt for the slower train on the RENFE train network. 2h travel should cost approximately 20 Euros. You can also read a more extensive guide on travelling around Spain by train on Seat 61. There are certain places where you can rent a car or scooter for a day for a fairly inexpensive price. The country seems fairly small and if you decided to do inter-city day trips, you could actually rent the vehicle only on those days where you know you are going to travel to those locations. In my case, I am planning to base myself in Marbella. From there, I will rent a scooter or a vehicle and drive to Seville and along the coastline. There’s approximately 200-300km that can be experienced by driving. A couple of the sites that I used to compare car hire and scooter hire prices are below. I didn’t get to find many campervan hire options. But I did see a few that were interesting. The cost was fairly pricey per month, so I won’t be opting for campervan travel. If you register as a Spanish resident, you can then purchase a vehicle and travel around the country, which will be the cheapest option. If you don’t mind spending the extra money, you can compare or hire a campervan. I want to enjoy the experience as much as possible. The Lonely Planet travel guides go into detail about where to visit, what to see and what you should experience while you are travelling. I will use the city guides along the southern Spanish Coastline to guide me in my travels. This was tricky for me at first and really impacted my decision on how to travel in Spain. However, I was able to find set a budget of $30 a day for cheap accommodation. (This will allow me to budget $930 a month for accommodation). I plan to save on accommodation costs by doing overnight buses when possible as well. The only way I could find this option originally was by staying at hostels and renting a bed. I could find accommodation deals for just under $25 a night. However, I’ve been able to find deals for $30-40AUD a night to either rent a room or a studio from someone on AirBnb. This provides a good option for me and I can adjust my flexibility to stay in different accommodation during my stay. At this stage, I’m thinking to stay up to 5 days in a city and enjoy the experience. There may also be other deals available to people travelling in the country. I had looked online to compare the hotels, but they were more pricey at $100+AUD a night. There’s going to be alot for me to try when it comes to food. The biggest mistake travellers make is eating out all of the time instead of purchasing items from the local supermarket. There’s AuChan and Mercado, which provide very good shopping deals. I do believe that if you are travelling solo, it’s possible to budget $60-100 dollars a week for groceries. I don’t want to sacrifice the local food experience, but I do want to make my money stretch as far as possible. When it comes to eating out, it seems like it is pretty affordable to eat out if you want go to a café, enjoy some tapas or bocadillos. I studied Spanish over 15 years ago in university and I would love to practice speaking with a local. I may engage in a language exchange in order to help me improve my Spanish speaking skills. It would be great to find an area where I can run, do weights and perhaps even join in with the locals (such as playing soccer). Have you travelled in Spain? What do you think? What are the best sites for finding cheap flights for digital nomads? The cost of an airline ticket can easily deter people from starting the digital nomad lifestyle, but if you use the right websites, you can actually find airline deals that are quite inexpensive. You can use the following sites to find cheap flights. Their comparison engine is very good at finding and recommending flight options. It’s simple to use and you can easily filter the results by flight time, pricing and routes. Most low-cost providers are on here, so it should be easy to find a cheap one-way or return ticket. Google Flights has an interesting “Explore destinations” feature, which will allow you to compare flights to several different ports on Google Maps. You can then book a flight through Google. One of the interesting options with this is that you can choose the anywhere option and the map will show you prices of air fares to different airports around the world. 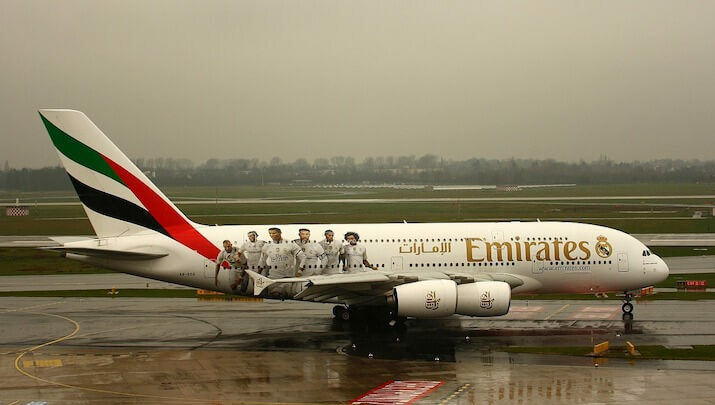 This is a site that provides people with error fares that are listed by airlines. This is another comparison engine that compares 66 cheap flight engines. This one seems to be more of a holiday package site, but you can use it to find interesting travel deals. This is an alert service that will let you know when cheap flights become available. If there are other providers that you feel should be on the list, please leave their details in the comments so they can be reviewed. Some other interesting links that you can use include the following. Use credit card rewards points to fund your digital nomad lifestyle. There’s always a need to be as creative as possible when it comes to making your money stretch as a digital nomad. You want to be able to trade in a currency that will increase your purchasing power, so you can enjoy the quality of life that you are after whilst travelling. 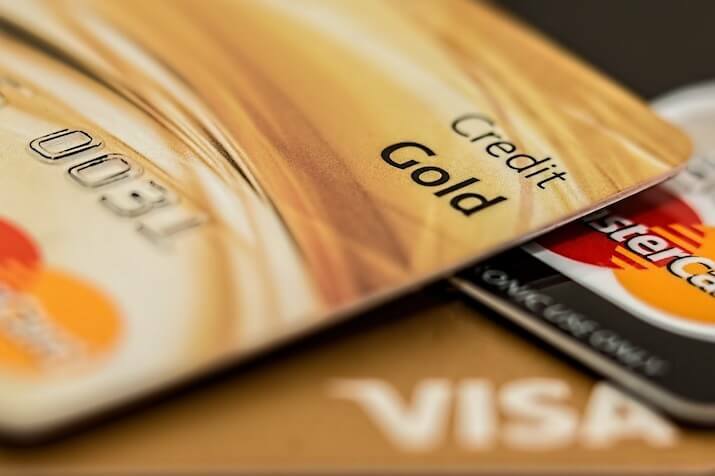 One of the ways you can do this is by leveraging the reward systems that different credit card providers offer. I personally signed up to one a couple of years ago and can see the benefit if it is done in the right way. However, the wrong program can also set you back financially, while it makes you think that you are gaining financially. In this post, I want to share some insights that you should look for so you can benefit from credit card use while travelling as a digital nomad. Process any charges through an online payment system. Settle the balance at the end of the month. I was losing out on the per transaction fee. It is easy to fall behind with creditors. Are there other options that you should consider? There are a few useful resources that I recommend checking out. I have a credit card rewards program with Australia’s Commonwealth Bank. The program is okay, but there are others that are better than it. The program allows you to gain points, which you can use as cash towards travel, experiences or even a cash refund. My wife and I had actually planned to put the accumulated credit towards a cruise holiday that we wanted to take. My strategy was the following. This could see accommodation charged through Airbnb, travel through online booking services, groceries and entertainment also through online booking systems. The key was to never pay cash. At the end of the month, I would receive a statement advising me of the amount to settle and then I would settle everything in full. The income that was using was actually the revenue from my business. I also ran any business costs on the card. Since one of my business’s is in client services, I would simply wait for them to settle their invoice and I would clear the debt. As long as I had clients pay their bills, I would accumulate the points. For a long time, I thought I was actually getting ahead with the credit card program. But I was actually losing out despite implementing what I thought was a clever strategy. Every month I would go through my credit card statement to find several per transaction fees. Some of the fees were quite high if payments were conducted in the hundreds or thousands. I’m fortunate that I run a business that has a positive cashflow. However, there were several occasions when I received ‘surprising credit balances’ that I had to settle. If I did not have my business or my cashflow management skill, I would have fallen behind and become one of the victims of the credit trap. It’s really important to stay within your means and to only use a credit amount that you can actually afford. The rewards program didn’t give me as much spending power as I’d hoped for. It’s important to know what you want to get out of the program in the beginning. In my case, I’ve accumulated over 100,000 points which gets approximately $500 AUD in rewards and travel vouchers. Something is better than nothing. But considering that the calculation is based on 1-2 points per dollar spent, it means that I could have forgone the transaction and annual fees (the annual fee is $150-200 annually) and purchased the rewards item directly. Definitely! I’m always looking out for alternative options and from what I’ve seen, alot does come down to the type of reward that you want to have. In the case of digital nomads, accumulating rewards for travel fares is interesting. If enough points can be racked up to gain a one-way or return ticket to a destination annually, that will help ease the financial strain while travelling as a digital nomad. That being said, you can easily find cheap fares by looking on Sky Scanner. But if you do find that you need to use a card frequently, then this is a handy one to have. The Qantas reward program is also interesting for frequent flyers. They offer an interesting proposition by gaining up to 100,000 rewards points if a certain spend is achieved in the first three months. This is enough to earn you a return ticket from Australia to Europe or the US. So it is actually quite interesting. As with the Virgin velocity rewards, you aren’t always going to get cheaper fares. But if you do need to use a credit card, then this one can be a handy option. Make sure you check those programs that are ideal for the country that you are a resident in and find out how the program works. Don’t commit to anything that you are unsure about. If you have any experience using credit cards whilst travelling as a digital nomad, please leave your comments below. Want to travel the world for $50/day? Buy this book! 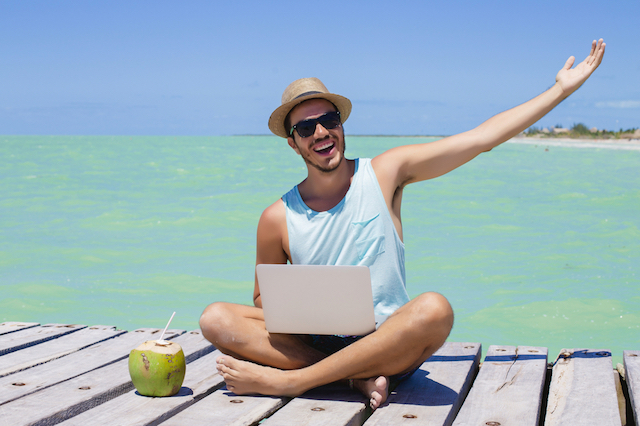 Make sure you have the right insurance cover before you start your digital nomad journey. Is Koh Samui good for a honeymoon?